The WBC (World Boxing Council) must be pretty darn proud!! 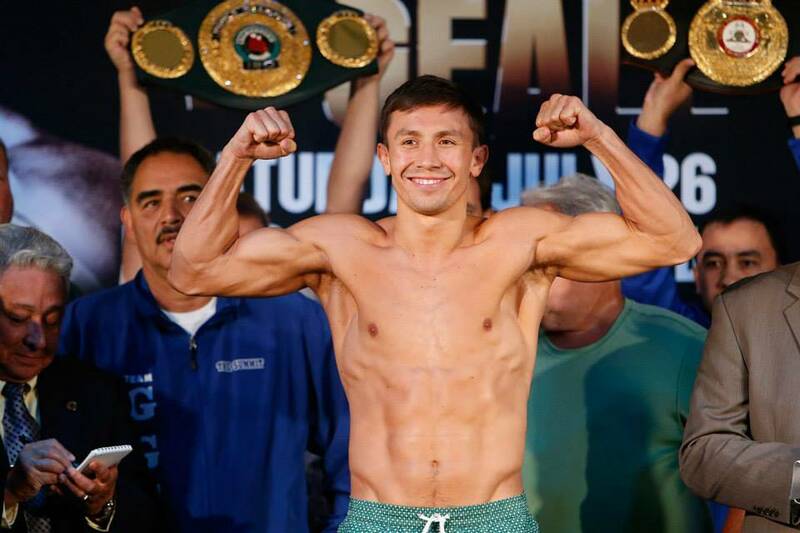 Gennady “GGG” Golovkin (31-0, 28 KO’s) added their interim middleweight title around his waist as he defeated rugged veteran, Marco Antonio Rubio (59-7-1, 51 KO’s) at the Stub Hub Center in Carson, California before a sold out crowd of 9,300 plus. Round two started out pretty fast and it took just 1:19 for Golovkin to knock down Rubio “Mexican Style” with a solid left hand to the forehead. The referee saw that Rubio was in no shape to stand up after the 10 count so he waved it off. Although Rubio complained and protested, it was a good stoppage as Marco was still on the canvas when the referee counted to eight. The knockout artist from Kazakhstan was very humble and gracious in victory. When Max Kellerman asked “GGG” who he was hoping to face as his next opponent, “GGG” called out Miguel Cotto and also expressed interest in facing Canelo Alvarez and Julio Cesar Chavez, Jr. as well. But without a doubt, he wanted to face Cotto next as he’s a fan of his and thinks that that would be the most lucrative bout at the moment. As boxing fans, we can only hope for that fight to get made but we doubt that it will happen anytime soon as Cotto is trying to get a shot against Canelo. In the co-main event, Nicholas Walters (25-0, 21 KO’s) became the first man to knock out Nonito Donaire (33-3, 21 KO’s) in the six round of their fight with just one second left in the round. Walters fought a brilliant fight by keeping his jab active and mixing up his offense. He dropped Donaire in round three with a solid uppercut down the middle. With both eyes cut, Donaire was slowly slipping away from the victory and was just out gunned by a superior fighter. Donaire was very classy in defeat and Walters was equally classy in victory. Vasyl Lomachenko would most likely be the man to face Walters for the WBA featherweight title. Without a doubt, that would be an outstanding match up. Hey, fellas. You’ve got Rubio as Barrera in the article title.